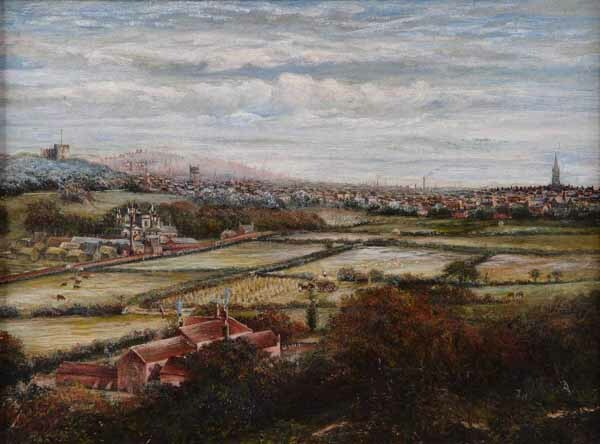 Summary: Oil painting by W S Boyd showing a view of Dudley. 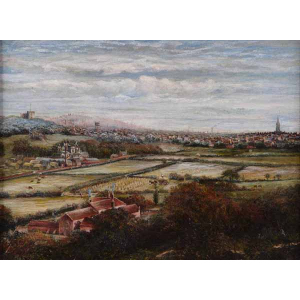 The town is in the distance with the castle to the left. In the foreground green fields can be seen.